Home Nokia Price specs Nokia Lumia 1020 Specs, Price in Philippines: 41MP Camera! 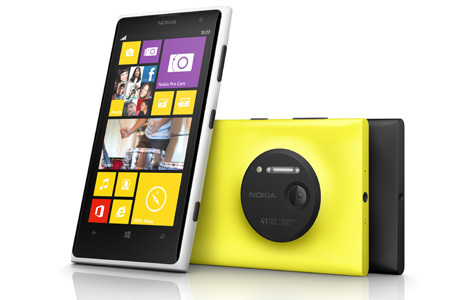 Nokia Lumia 1020 Specs, Price in Philippines: 41MP Camera! You think you've seen everything? Well not for long! With Nokia Lumia 1020 you'll surely see even the holes of your skin with its magnificent 41MP camera, and we all know how Nokia plays in terms of camera quality in mobile phones. Not only in camera but also the screen which makes sense, what's the use of high quality pictures when you can't see it optimally? But that's not a problem to Nokia Lumia 1020 as it has an 4.5-inch WXGA (768x1280) AMOLED PureMotion HD+ ClearBlack display, and the latest Corning Gorilla Glass 3 and super sensitive touch, which make a single touch makes everything happen. Going back to the camera, 1020 has also an app called Nokia Pro Camera which basically makes your picture shots like a pro photographer. Moreover Nokia Lumia 1020 is operated by Windows 8 for mobile and an fast LTE connectivity. Nokia haven't announced the price and availability yet in the Philippines, rumors says it will be released first in USA, China, and Europe. Probably it will be released this quarter, more news to come so stay tuned!